To wrap up this tutorial, we will save this project and also save it as a template that can be reused on other samples. 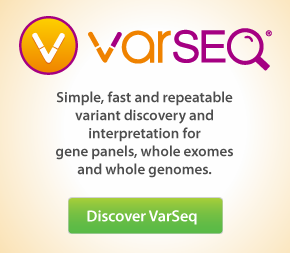 Much more analysis can be performed in VarSeq, however, we hope this was a good orientation to most of the functionality of the filter chain and how to annotate variants and perform computation on sources. Use the keyboard shortcut <CTRL> + S.
Suggested information that can be filled in the text boxes is shown in the image below and also in the bulleted list that you can copy and paste into the dialog. See Figure 8-1. 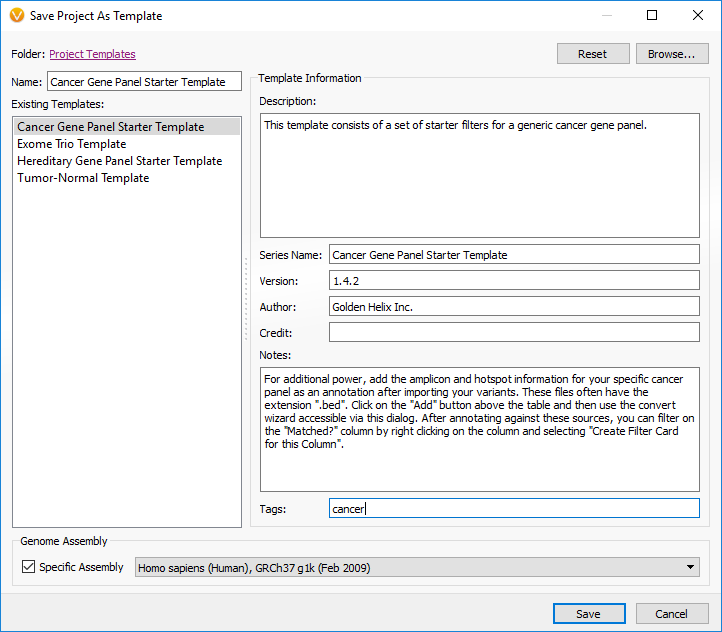 Description: This template takes multiple cancer gene panel samples, performs quality filtering, variant allele frequency filtering, identifies variant in COSMIC, performs transcript annotation. Once this information is set click Save. Congratulations! You have completed the Cancer Gene Panel Tutorial. If you had any problems or have any questions please feel free to contact us at support@goldenhelix.com.